Looking for a fun way to reward your employees with a fun corporate group outing or retreat in Charleston, SC? We are the perfect outdoor venue for your meeting, corporate retreat, or team building adventure! Reward your hard-working staff by planning an out-of-the office high flying adventure that can help develop staff relationships and a stronger work environment. 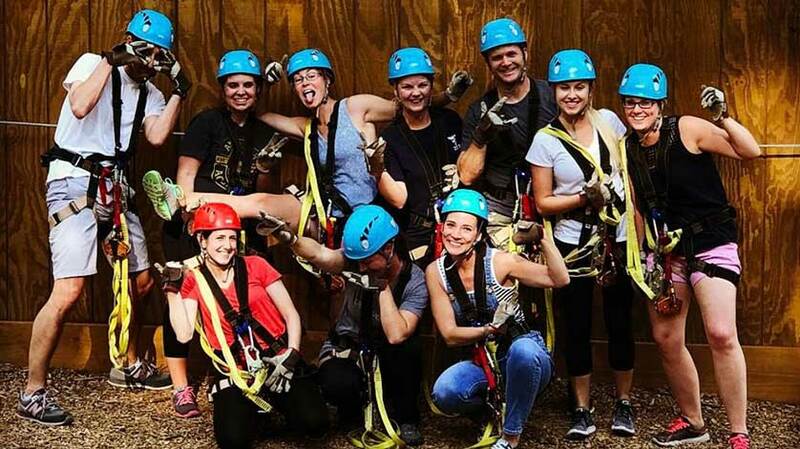 Charleston Zipline Adventures offers fun team bonding and team building opportunities for professional adults to step outside of their everyday roles and routines while also strengthening relationships and improving morale. Our team is ready to personally work with you to create a custom program to meet the unique needs and goals of your organization. We are the only Zipline Canopy Tour in the Charleston area and conveniently located just 15 miles from Downtown. Our Corporate Event Package can accommodate groups of all sizes and includes everything you need to make your team outing a success! Private Picnic Area Following Zip Line Adventure--Ideal For Grilling Out, Catering, And More. 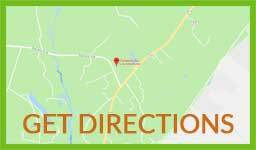 Adventure Center with covered porches, meeting space, and an relaxing back to nature setting nestled in a 10 acre forest just minutes from Downtown Charleston.